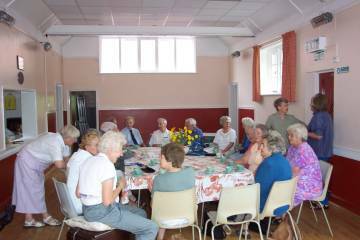 A coffee morning is held in the Village Hall every Wednesday at 10.00 o'clock. Three ladies, who continue to live in the village today, started Coffee Mornings 20 years ago. It was felt that the Village would benefit from a meeting point where residents could gather for a friendly chat. 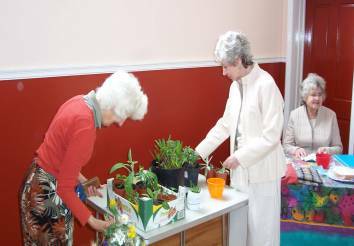 The idea has been a great success, as the Coffee Morning is well attended by people from the village and one or two from neighbouring villages. There is always a lively hub-bub of conversation and much village information is exchanged over the course of one or two cups of coffee. The Wednesday Coffee Morning has been extended to also include a small stall where members can bring, or buy, local produce, cakes or plants.